Along with the development of national economy, people’s time concept enhanced more and more. They pay more attention on the nutrition, convenient and fast of breakfast, use milk and hot water mix with Cereals Corn Flakes as breakfast has become people’s preferred Healthy food. 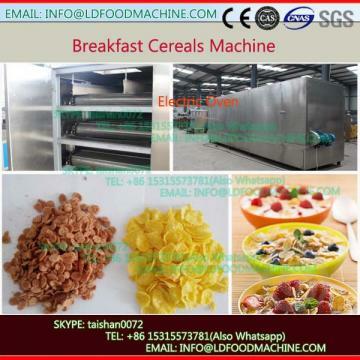 Corn flakes can be flavored with sugar,honey,coco and cheese,etc.Corn flakes are a popular breakfast cereal manufactured by twin-screw extruder through the treatment of corn flakes of grain, served with milk and marshmallows, were a very popular food among the families. 1. We can provide factory layout according to customer’s factory size in advance. 2. When we received your deposit of this order, we will ask our engineers to prepare to apply the visa, when the corn flakes processing line arrived your country, and we will send two engineers to go and help you to install the corn flakes line, teach your worker(3or 4 workers) how to operate the corn flakes line, until your worker know the corn flakes line well. 3. Our engineers has reLDonsibiliLD to teach your worker how to clean the extruder, how to change the screw, how to change barrel etc. and we have reLDonsibiliLD to provide Technology support with you forever. 4. 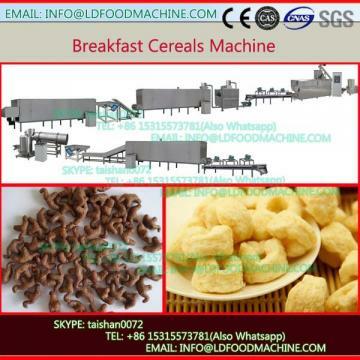 Our engineers can provide basic formula for producing the corn flakes, breakfast cereals, etc. and help customer to produce good quality food according customer’s detailed formula. 5. We provide the LDare parts will at preferential price for an extended long time. 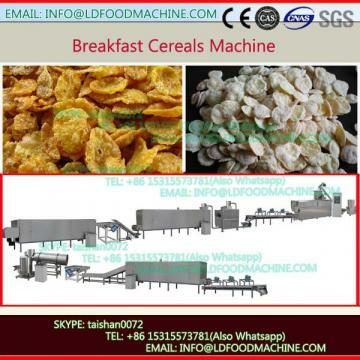 If you want to know more ,please feel free to send me inquiry and i will send video,pictures to you LDout our puffed corn snacks food make machinery .